SG90 is the high pressure grout pump. 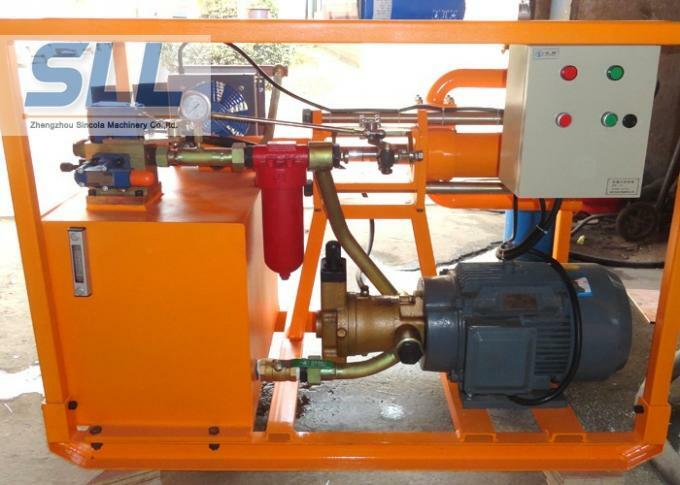 It is a kind of piston pump with single cylinder and double acting. 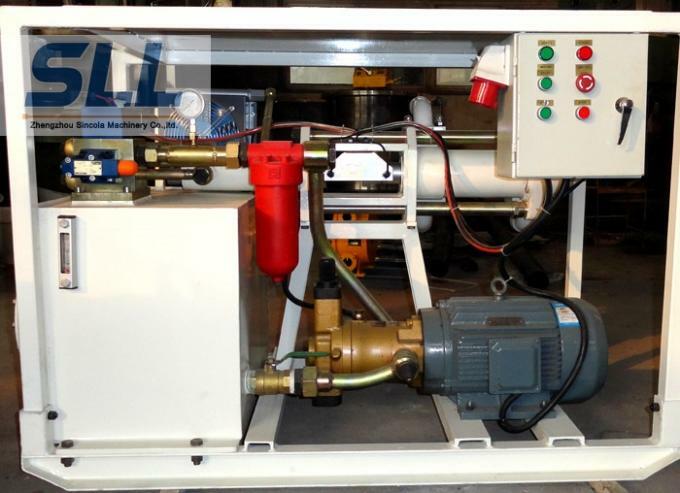 Its main oil pump is a variable piston unit adjusted by hand, so the output of pump can be adjusted. It has many advantaged characters of simple structure, higher working pressure. SG90 often works together with grout mixer. This equipment can be widely used in tunnel, the mine working face grouting water plugging, wall rock and concrete grouting, plugging water tunnel cracks, crushing of rock mass, evacuate the reinforcement of the rock reinforcement, anchoring grouting and backfill grouting and prevent the surface subsidence, prevent landslides, correcting buildings deflection of grouting, etc. Mortar pump in the construction of prestressed technology application, and can be used for prefabricated or hole grouting of cast-in-situ components.In general construction projects and can be used for Bridges, culverts, mines, tunnels and other supporting and grouting, spraying inside and outside wall, ceiling of the spray grey, plaster, in addition, in the chemical engineering department, the railway construction projects, such as can make delivery of the equipment. High pressure grout the cement slurry or similar slurry to do the sealing, strengthening and stabilizing of rock and soil in Tunneling, Mining, Hydro-power Project, Slope Stabilizing and underground project, etc. 3. Solenoid operated directional valve or mechanical direction valve can be chose according to the different work environment. 1.We can design and manufacture the product and send the technical personnel to guide the installation of equipment at customer's workplace according to the requirements of our customers.